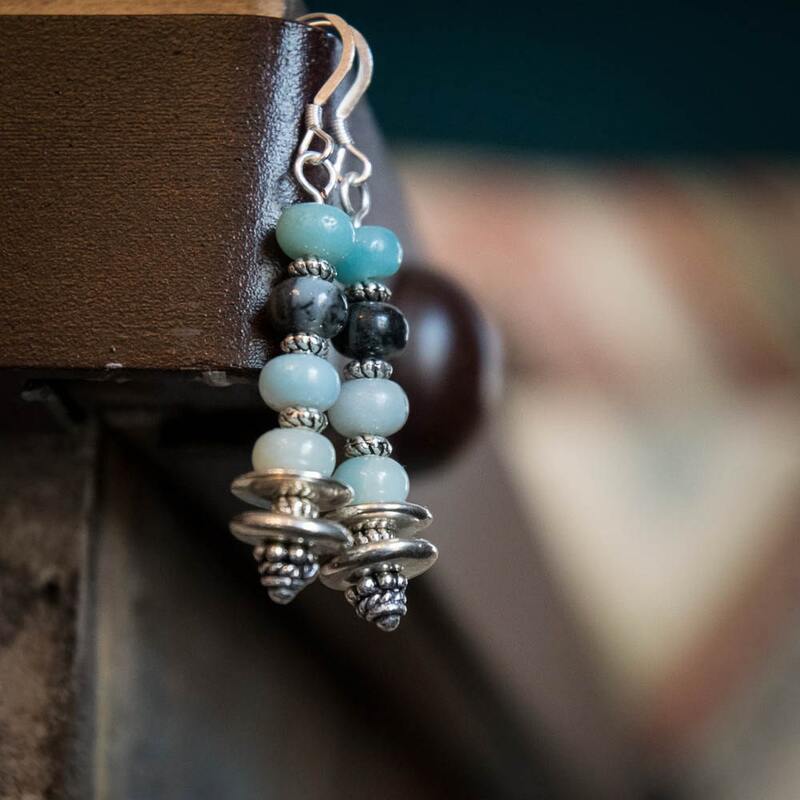 Varying shares of blue and gray stacked Amazonite with pewter daisies and flat spacers. Theses little gems come with Silver filled ear wires and are 2 inches (5.5 cm) in length. These earrings compliment the Necklace Double Strand with Aqua Terra Jasper Pendant and Bracelet Amazonite and Aqua Terra Jasper.